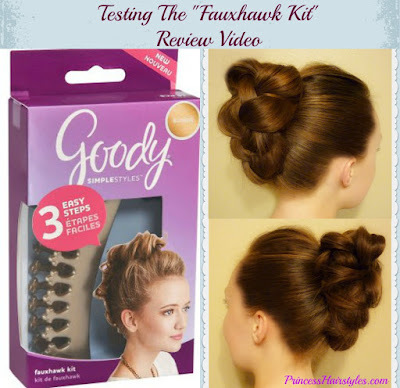 Testing The Faux Hawk Kit! Is It Actually Quick And Easy? We recently purchased this "FauxHawk Kit" made by Goody and wanted to give it a try, so we decided to do a tutorial and review/first impression for you. My daughter has worn a faux hawk hairstyle quite often in the past as her dance team used to use it as their competition hairstyle. She also will occasionally wear the style to school or church. 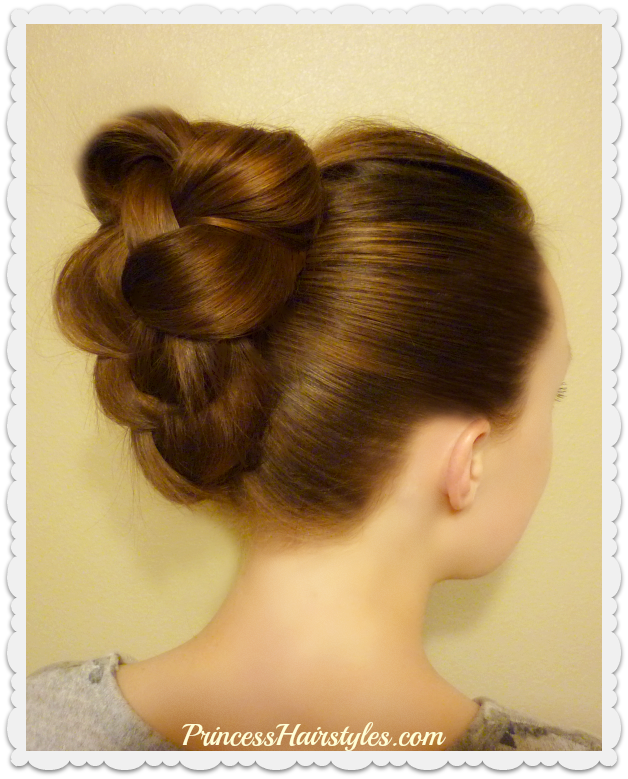 But, as much as we love the edgy yet glamorous look, the traditional way to make a faux hawk hairstyle (using messy buns) can be quite time consuming. And on school mornings, we are all about quick! We wanted to see if this tool actually would make the process faster and easier with the same cute result! This kit comes in several different colors. I would recommend looking for the one that matches your hair the closest. We found ours at Walmart and I'm guessing it can be found in most discount and drug stores for around $5. This hairstyle would be great for all ages... teens, little girls, and moms. I could see this working for casual as well as formal occasions. 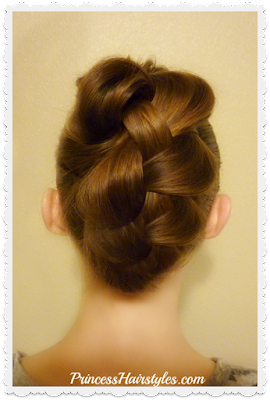 This style could even work for Prom, Homecoming, church, recitals, weddings, etc. You can choose to leave this the braided faux hawk sleek and neat looking, or stretch it out and deconstruct it a bit more for a messy and voluminous look. You might notice in our photos (above and below) that one side is messier than the other (below.) We purposely deconstructed one side after the tutorial to see if the messy look was possible with this tool and it is... it just takes some work to mess the braid up a little more. After looking over the instructions for a second time, I'm pretty sure a hair elastic was not meant to be used at the top of the ponytail before placing the tool in her hair (as we demonstrated in our video.) But, we found that this "misunderstood hair tie" actually helped to hold the hairstyle in place very securely in her fine and slippery hair. 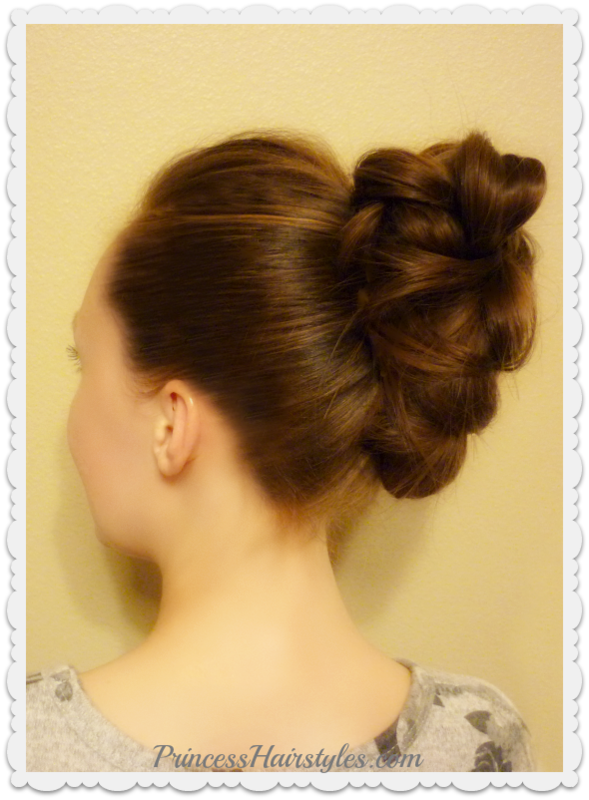 We tried the style again without the elastic and it did not hold well at all. If you have textured or thick hair, the tool will probably work just fine without adding a hair tie. This tool will work best with at least medium length or long hair. I think it would look adorable with curly or wavy hair as well as straight.